If you think you have an ankle sprain, a house call may be just what you need. Our foot award-winning foot and ankle surgeon can come right to your home or office. No need to wait for 6 hours in the Emergency Room. We can see you between meetings at work, arrange x-rays (if needed) and get you on the path to recovery. Did you know there are over 25,000 ankle sprains every day? With so many of those injured ankles showing up at the Emergency Room (along with all those with people with hacking coughs, colds and worries of swine flu) it is no wonder you might have to wait in line. Studies have shown that the average patient wait in an Emergency Room in some states is as high as 5 hours. That’s a long time to sit around just too see if anything is really broken or not. Our ankle expert won an award from the American College of Foot Ankle Surgeons for his research on the accurate diagnosis of subtle ankle fractures. And we can bring all that expertise right to you. 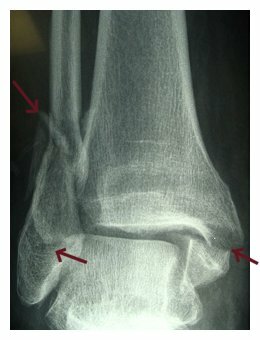 The good news is that ankle fractures are very rare when compared to an ankle sprain. But even an ankle sprain needs quick treatment to remove the ankle pain, swelling and bruising. If you are a busy weekend warrior with your weekday schedule as packed as your weekend, an in-office house call by a true ankle expert might be just the ticket to get you on the road to recovery without any delays. 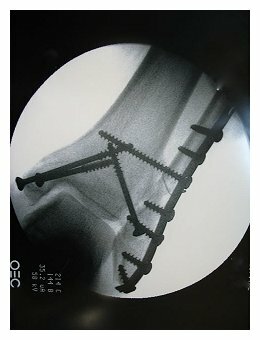 Learn everything there is to know about ankle sprains and ankle fractures at www.AnkleCenter.com, the webs definitive source for ankle injury information.